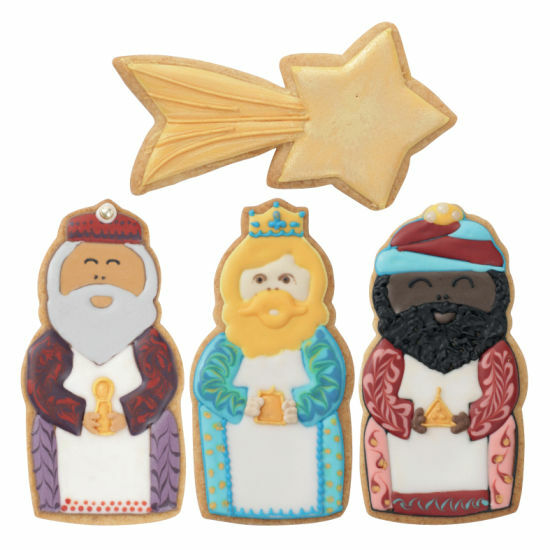 This Squires Kitchen Cookie Cutter set of three kings (or three wise men) are the ideal solution if you’re looking to make festive party treats and Christmas gifts for friends and family. Squires Kitchen’s Art-ice 2-in-1 Cookie Icing Mix is ideal for budding bakers. It’s so easy to use you’ll be making beautiful biscuits in no time. The set includes four different-shaped cookie cutters so you can make Balthasar, Melchior, Caspar and a shooting star. Use Art-ice Cookie Icing, sugarpaste or Sugar Dough to decorate the cookies in a traditional style or create your own fun designs. Expertly designed and engineered in the UK from the highest-quality stainless steel, all Squires Kitchen’s cutters are approved for food contact. 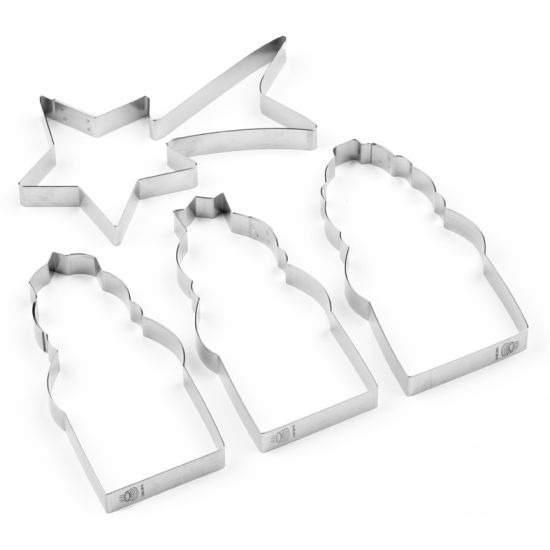 Ideal for use with cookie and biscuit dough, sugarpaste, marzipan, Sugar Florist Paste (SFP), Sugar Dough, pastry and more. All cutters incorporate innovative CleanCut™ technology for a neat edge and precise finish.